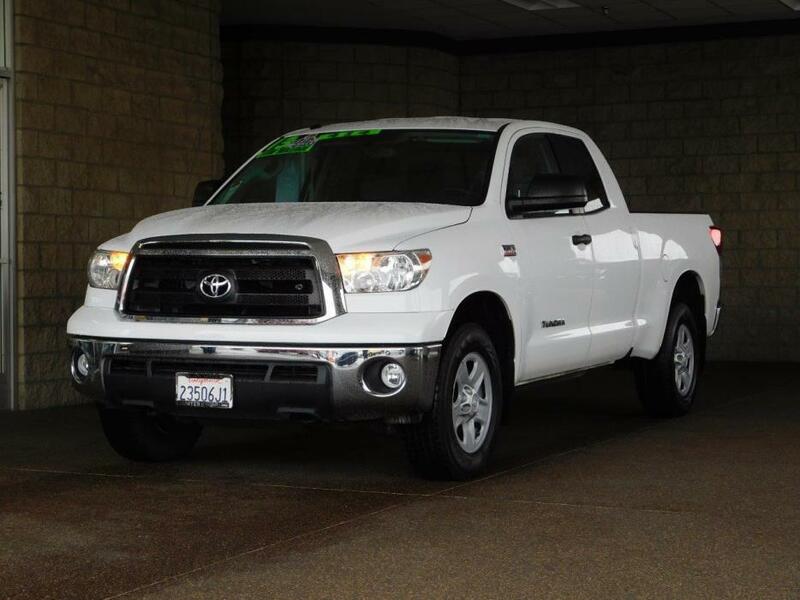 Tundra 4x4 V8, 4x4 V8, CARFAX 1-Owner, ONLY 38,533 Miles! Tundra trim. PRICE DROP FROM $39,175, PRICED TO MOVE $300 below Kelley Blue Book! CD Player, Dual Zone A/C, 4x4, iPod/MP3 Input. CLICK NOW! KEY FEATURES INCLUDE 4x4, iPod/MP3 Input, CD Player, Dual Zone A/C MP3 Player, Keyless Entry, Child Safety Locks, Electronic Stability Control, Heated Mirrors. EXPERTS RAVE explains 'The 2013 Toyota Tundra remains a capable workhorse among full-size pickups.'. A GREAT TIME TO BUY Reduced from $39,175. This Tundra is priced $300 below Kelley Blue Book. BUY WITH CONFIDENCE CARFAX 1-Owner MORE ABOUT US Family owned since 1944. Visit us in the heart of the Lancaster Auto Mall. Pricing analysis performed on 1/6/2017. Please confirm the accuracy of the included equipment by calling us prior to purchase., Intermittent Wipers,Daytime Running Lights,Power Windows,Keyless Entry,Power Steering,Power Door Locks,Cruise Control,AM/FM Stereo,Cloth Seats,4x4,Brake Assist,iPod/MP3 Input,Steel Wheels,Pass-Through Rear Seat,Power Driver Mirror,Driver Air Bag,Passenger Air Bag,A/C,Rear Head Air Bag,Child Safety Locks,MP3 Player,Heated Mirrors,Electronic Stability Control,Passenger Air Bag On/Off Switch,Locking Rear Differential,Front Reading Lamps,Side Head Air Bag,Dual Zone A/C,Auto Transmission w/Manual Mode,Front Tow Hooks,8 Cylinder Engine,4-Wheel ABS,Tire Pressure Monitoring System,Tires - Front All-Season,Adjustable Steering Wheel,Gasoline Fuel,6-Speed A/T,Rear Reading Lamps,Full Size Spare Tire,Split Bench Seat,Auxiliary Pwr Outlet,Tires - Rear All-Season,Variable Speed Intermittent Wipers,CD Player,4-Wheel Disc Brakes CARFAX 1-Owner, ONLY 38,533 Miles! Tundra trim. PRICE DROP FROM $39,175, PRICED TO MOVE $300 below Kelley Blue Book! CD Player, Dual Zone A/C, 4x4, iPod/MP3 Input. CLICK NOW! KEY FEATURES INCLUDE 4x4, iPod/MP3 Input, CD Player, Dual Zone A/C MP3 Player, Keyless Entry, Child Safety Locks, Electronic Stability Control, Heated Mirrors. 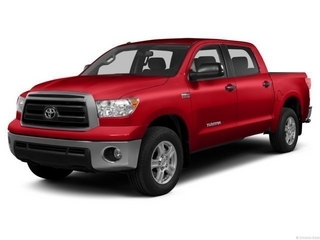 EXPERTS RAVE explains 'The 2013 Toyota Tundra remains a capable workhorse among full-size pickups.'. A GREAT TIME TO BUY Reduced from $39,175. This Tundra is priced $300 below Kelley Blue Book. BUY WITH CONFIDENCE CARFAX 1-Owner MORE ABOUT US Family owned since 1944. Visit us in the heart of the Lancaster Auto Mall. Pricing analysis performed on 1/6/2017. Please confirm the accuracy of the included equipment by calling us prior to purchase.